This two page planer sticker kit was made specifically for the 2017 ECLP monthly overview and will also fit other planners, calendars and agendas. The stickers are printed on permanent glossy sticker paper. 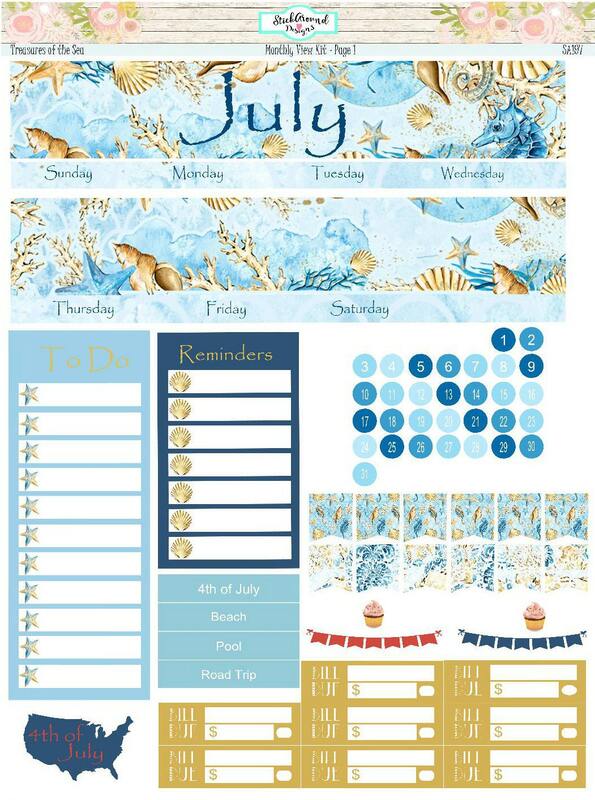 The first page includes two header bars, one To Do and one Reminders box for the sidebar, 8 Bill Due boxes, Date covers numbered 1-31, *4 Holiday/Event Labels, 1 4th of July sticker, two birthday cupcakes and banners, and 12 flags. 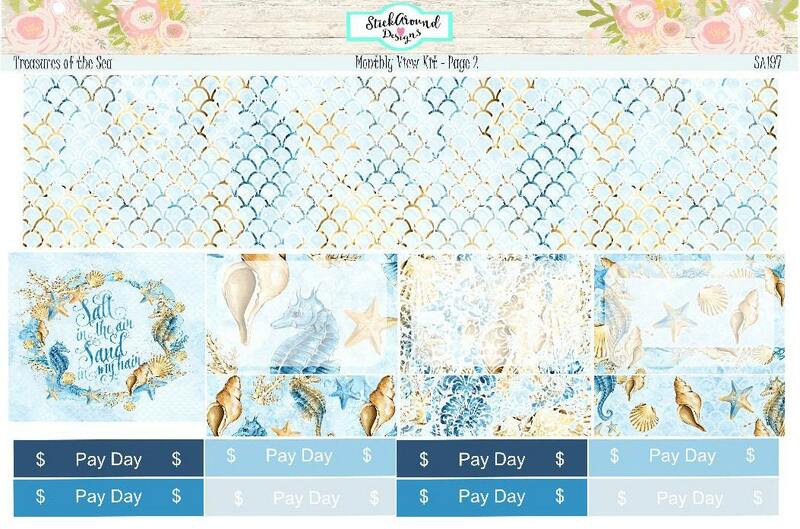 The second page includes date covers for the prior and next month, 3 Half Boxes with coordinating Quarter Boxes and 8 Pay Day labels. I love the theme of this monthly kit. Thank you so much Wendy! As a first time buyer on Etsy, I had no idea what to expect and was a little nervous about the whole experience. However, the arrival of my purchases from your shop brings a sigh of relief and I can't get over how excited I am to use your kits! Also, thanks so much for the extras as well!!! 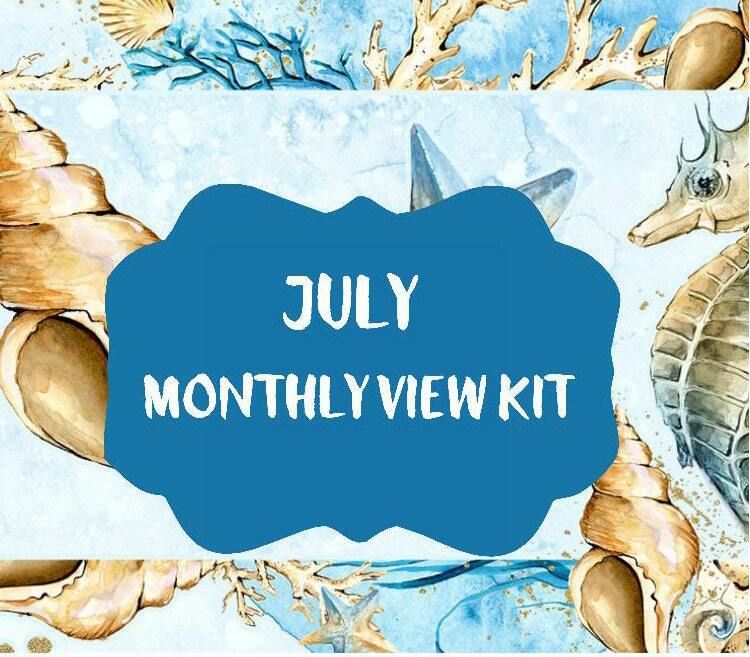 So glad July 2016 monthly kit was still available. I ordered two kits and put one in EC hourly planner and the other in my EC vertical planner as soon as I received them in the mail Saturday! Very pretty :-) Another great thing about this order is that it was placed on September 14th and delivered on September 17th! Super service! Awesome quality! Beautiful design and colors. Definitely a great purchase!